An easy way to remind someone you care and are thinking about them - the How Sweet It Is bouquet. 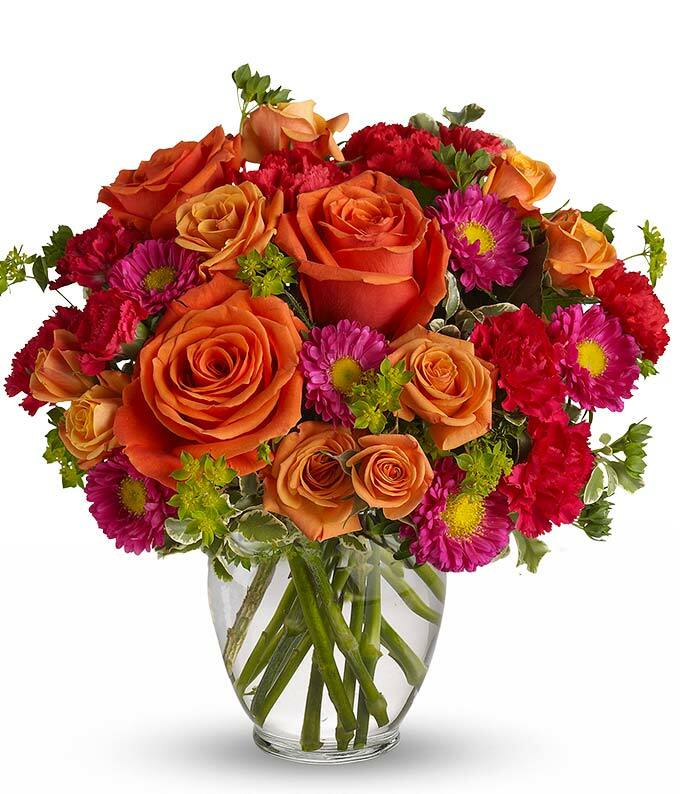 Brighten someone's day with this beautiful arrangement of orange spray roses, orange roses, hot pink carnations and asters. This bouquet is ideal for a birthday or as a thank you, or just to let someone know you're thinking about them.